Whatever your requirements we offer a range of solutions. We work closely with you to help with technical elements and the final design of your product. 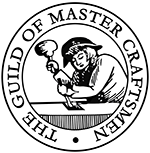 All of our gates and railings are produced to Mastercraftsmen standard offering you a stress free service from start to finish. Below are some examples of the work we have completed over the past months.